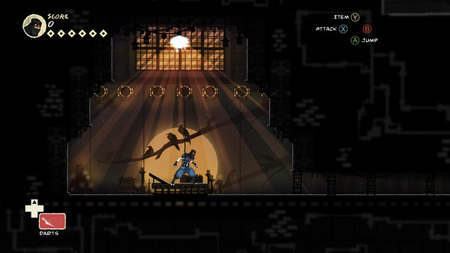 Mark of the Ninja: Remastered is a unique ninja stealth action game from Klei Entertainment. You’ll know what it is to truly be a ninja. You must be silent, agile and clever to outwit your opponents in a world of gorgeous scenery and flowing animation. Marked with cursed tattoos giving you heightened senses, every situation presents you with options. Upgrade new tools and techniques that suit your playstyle and complete optional objectives to unlock entirely new ways to approach the game. Finish the main story to unlock a New Game Plus mode with even more options and challenges. If you get stuck in the game, check out the video walkthrough and gameplay for the game. This entry was posted in PC Games, Walkthrough and tagged Mark of the Ninja: Remastered Cheats, Mark of the Ninja: Remastered Game, Mark of the Ninja: Remastered Gameplay, Mark of the Ninja: Remastered Guide, Mark of the Ninja: Remastered Hints, Mark of the Ninja: Remastered Review, Mark of the Ninja: Remastered Solutions, Mark of the Ninja: Remastered Strategy, Mark of the Ninja: Remastered Tips, Mark of the Ninja: Remastered Walkthrough by Marvin. Bookmark the permalink.